Keep More Money in your business and increase your profit margins by doing business development at optimized rates, and leverage FundsTiger reach and reputation. Companies who partner themselves with FundsTiger open themselves up to a new world of potential clients and the ability to add to their profits. Business to business lead generation is made easy and cost effective when you take advantage of our online marketplace and its full suite of powerful networking capabilities. We can work directly and do soft introductions as well as full impact referrals to business clients that can add big boost to your revenues – thus increasing your business, your network and your networth. In fact, FundsTiger has one of the largest reach for B2B real sales people, bankers and financiers who can help you reach your clients faster. When a business typically attempts to elicit interest in their brand from consumers, they are required to spend a lot of their revenue on advertising, promotional material, expanding their sales department and burn up a lot of their man hours. This isn’t always feasible with other overhead costs and excess inventory limiting the amount of disposable revenue. We help you get real business introductions and referrals through our existing clients and partner base – and give a direct boost to your business. We offer companies the chance to expand their operations and business development activities to new heights and get proactive with their approach. Our online portal www.FundsTiger.com allows companies to get business finance, but we also can help to promote their services to thousands of local and international brands in the commercial sector – who are existing FundsTiger clients and all of which may be a potential customer. This form of generating leads through B2B provides a win-win solution, whereby you can gain access to a rewarding collection of new clientele, and do so with minimal costs to your company. 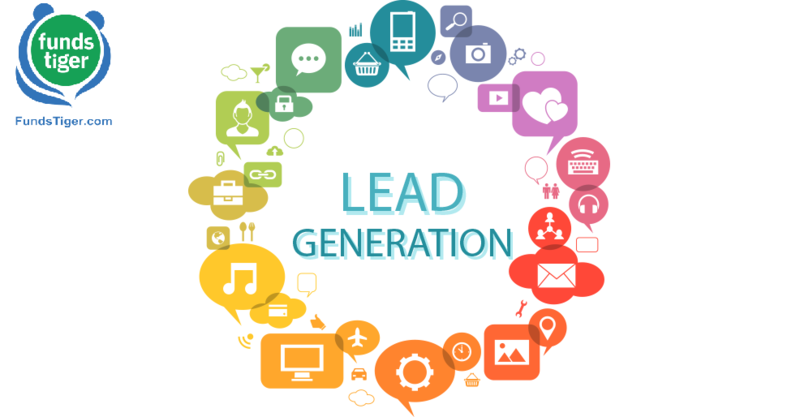 Everything you accumulate through our B2B lead generation services is an added bonus to your profit margin. This excess revenue frees up your cash flow to spend on other company costs and operational expenses. We also expect you to contribute generously to lead generation for other people in our FundsTiger network so as to reciprocate the good karma. It is estimated that on average, our members receive a 23% customer increase through our business to business lead generation services. This per cent is expected to increase through positive word of mouth referrals from these businesses. If you provide an excellent product or service that gives value to your customers, you have an excellent opportunity to massively expand your customer awareness with very little cost to you. We have access to thousands of companies and markets which you may not have previously had access to until now – as we work with government bodies and chambers of commerce too.